In August, I headed down to central Oregon with a friend to experience and photograph the total solar eclipse. I decided to go nearly a week early, to scout out and secure campsites prior to the mad traffic and rush of people that hit Oregon right around eclipse-day, and also to enjoy the amazing scenery there. Luckily, we managed to find a campground just outside the eclipse path to the north that wasn't trying to charge exorbitant rates, and we prepaid for 5 days right through to the day of the eclipse. In addition, scouting around some BLM backroads that I was already familiar with, we found a great spot to camp, at the end of a rough gravel road, so stayed there on the Saturday and Sunday before the eclipse on Monday. 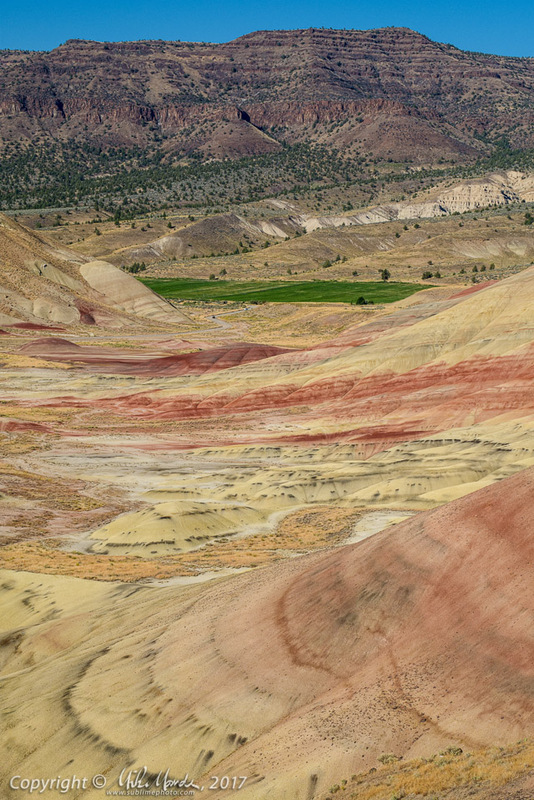 The above linked gallery has images from the first two days of the trip after arriving in central Oregon, from both the Painted Hills and Clarno Units of the John Day Fossil Beds National Monument, as well as from the "almost ghost town" of Shaniko.